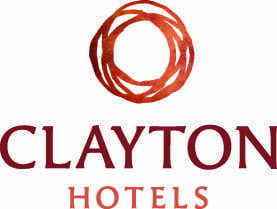 For the busy business traveller, Executive Rooms at Maldron Hotel Shandon Cork City offer an even more spacious feel plus additional amenities including pillow top super king size beds, fluffy bathrobe, slippers, 42” flat screen TV and a safe. For ultimate comfort, guests are also welcomed with complimentary chocolates, Ballygowan water, Bewley’s coffee and the morning newspaper. 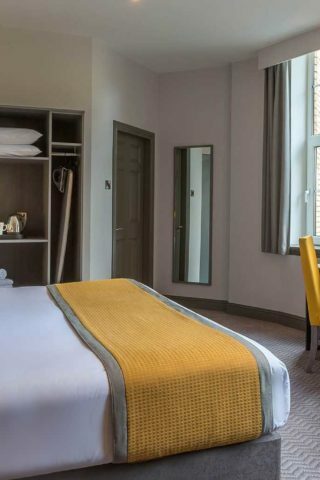 Whether you need somewhere to stay in central Cork for a week-long schedule of meetings or taking time off to unwind and enjoy the city, our Executive Rooms offer so much more in terms their premium in-room features. In addition, our Executive Rooms are located in the quietest parts of the hotel so that you are fully refreshed overnight and ready for the challenges of the day to come. If you want to workout after a hard day of exercising your brain, you can avail of our fully equipped gym, 20m swimming pool, Jacuzzi, steam room and sauna complimentary during your stay. Late checkout available if required for additional €20.00 until 4:00pm. The contemporary décor and room features will ensure a comfortable and productive stay away from home.